Melbourne will be a world leader in using participatory democratic approaches to decision-making. The diverse voices of Melbourne will be actively heard: there will be purposeful and considered dialogue, deliberation and accountable action. New information technologies will be harnessed to enable citizens to be deeply engaged with local governance processes. 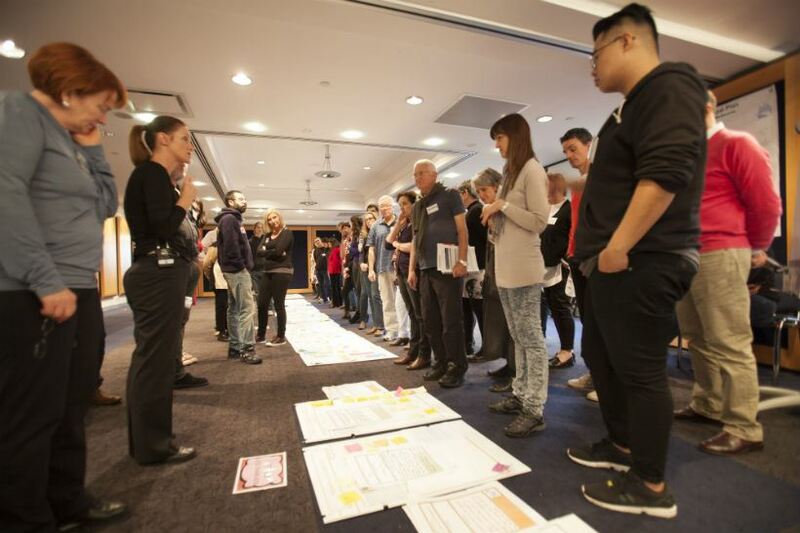 Melbourne will build on its record as a leader in participatory democracy to establish the city as a world-leading laboratory for participatory democratic approaches to governance and decision-making. This will provide models for other governments in Australia and globally. Participatory democracy in Melbourne will reach marginalised and disenfranchised communities. People will be well informed about the workings of their governments and how decisions are made. In Melbourne, the local knowledge and insights of the community will be harnessed to find creative solutions for local problems. Local communities will be encouraged to form groups and to build their capacity to be involved in decision-making. Many important issues and opportunities facing Melbourne will require integrated action from multiple parties. All levels of government, neighbouring local governments, businesses, public institutions and the community will collaborate to deliver workable solutions for the city. New technologies will be used to harness people’s feedback and enable participation in government decision-making. These decision-making and consultative processes will be open and transparent. Government data will be a readily available public resource. Governments will be committed to governing using 21st century digital technology including enabling citizen developers with the tools to access government data. The data will be available in formats that allow innovative use. Open data will be core to the promise of more efficient and transparent government.